Since I began this website, I have started an Adaptive Clothing Line. 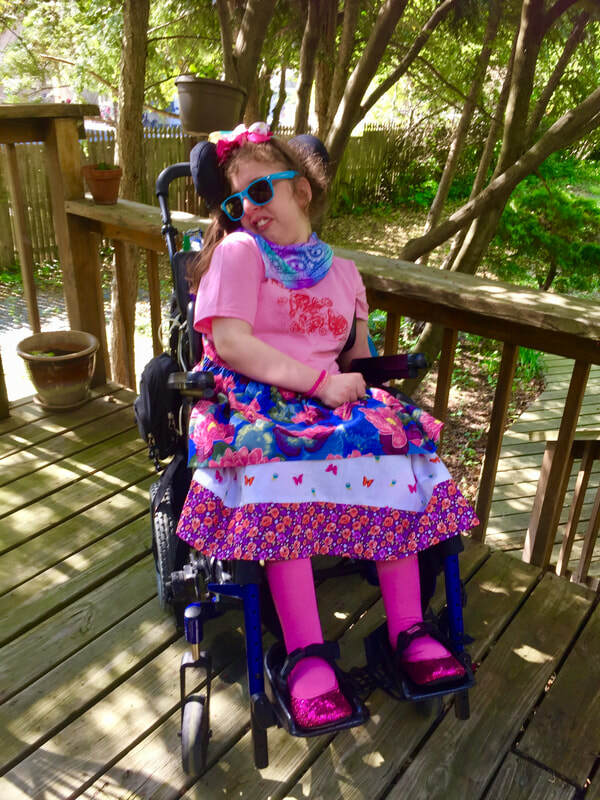 You can see the Skirts that I have produced so far, as well as T-shirts that have designs printed on them that were painted by Sara Ann, a young girl with Cerebral Palsy, in the "STORE". I will be adding more designs. Stay tuned and check back! E ISPIRANTE in the Drop-Down. NEW! 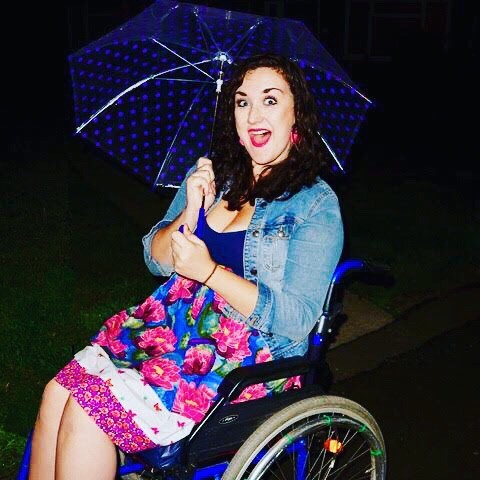 Interview with me about my Adaptive Clothing Line! * A fabulous blog post written by Georgina! there is a photo of her in the first sample of a skirt that will be available here in "SHOP". You may also see the photo below. 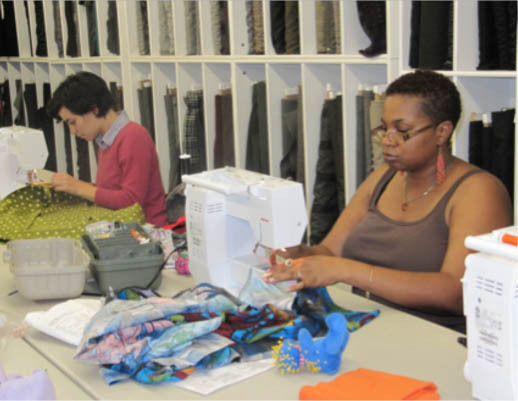 I am still offering Sewing Classes! AT YOUR HOME OR STUDIO. On the ABOUT page you will see a history of my background. Cutting out pajama bottoms - a great first project! 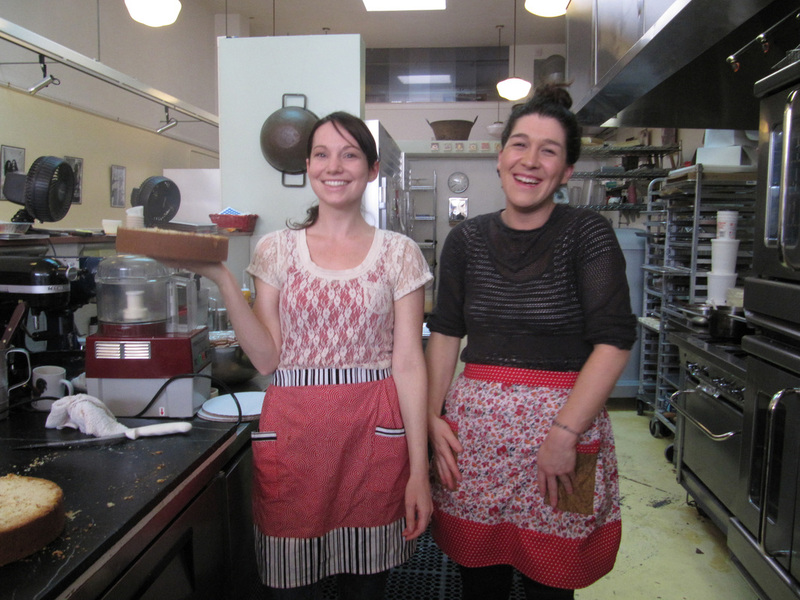 Two students, who are actually bakers, modeling the aprons that they made!